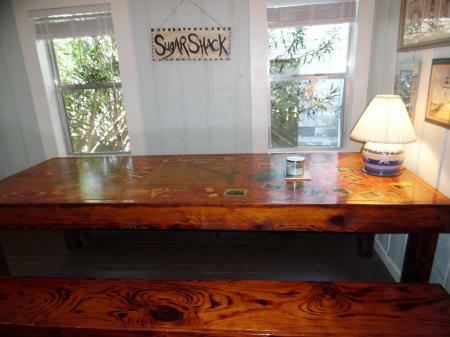 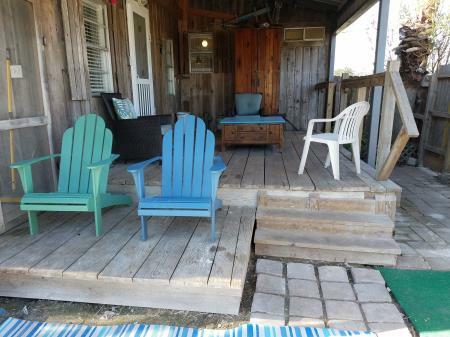 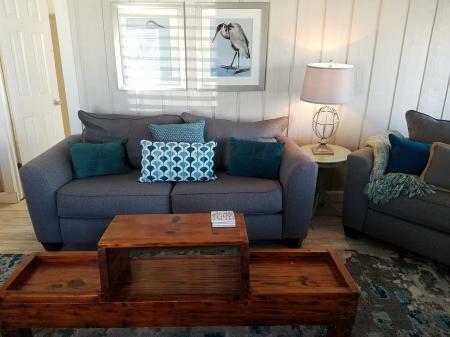 The Light House is a cozy cottage in the Heart of things in Port Aransas.��Located just 2 blocks from downtown, you can easily walk to a couple of restaurants and shopping. 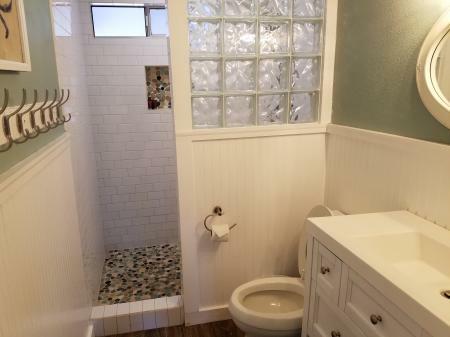 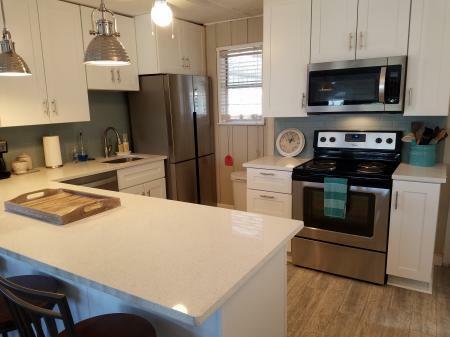 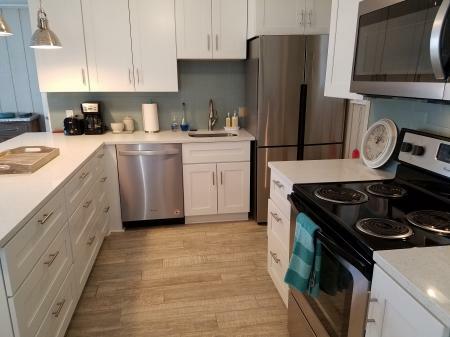 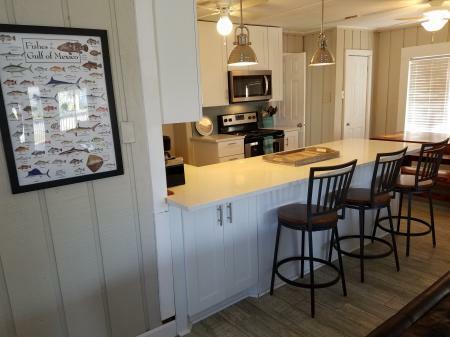 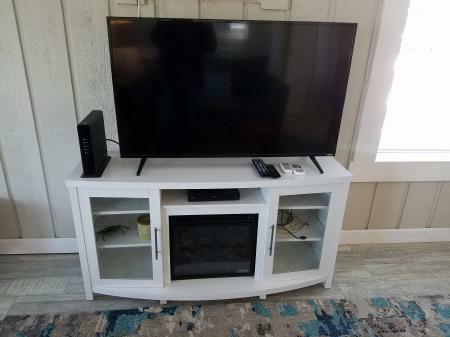 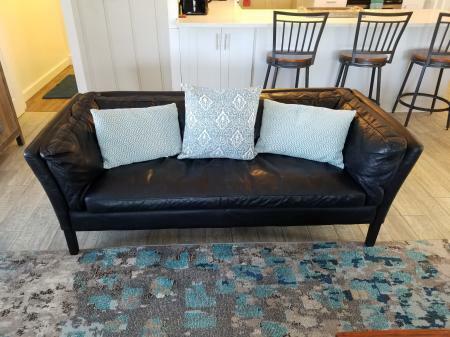 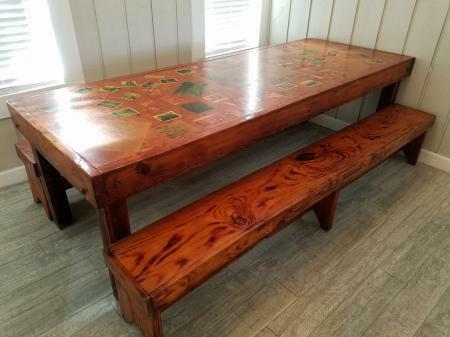 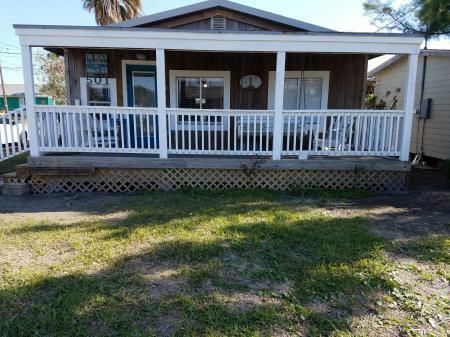 This quaint cottage has a brand new remodel since Harvey--large living area with flat screen TV and sofa and oversized easy chair.��There is also a huge dining table in the adjoining space where everyone can sit and eat the day's catch.��In the new stainless kitchen, there is an electric stove and oven, microwave, and dishwasher.��The kitchen is well appointed with cooking, serving, and dining accessories. 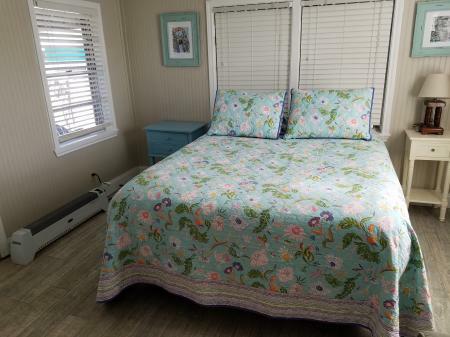 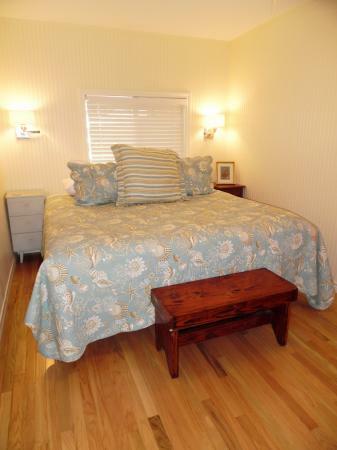 The master bedroom has the MOST comfortable king bed.��That room reminds you of a seaside cottage with beadboard walls, oak hardwood floors, and a big wardrobe to hold your changes of swimsuits and sunhats. 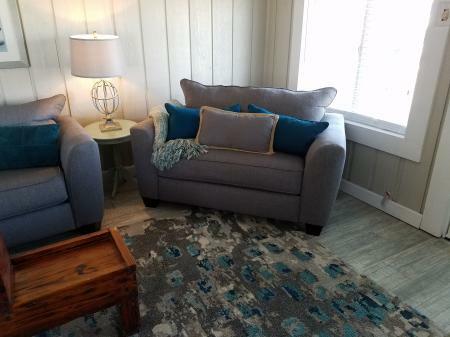 The back bedroom has a queen bed and also a wallhung flat screen TV.��There is also a kid sized fold out sofa.��There are two closets located in this room. 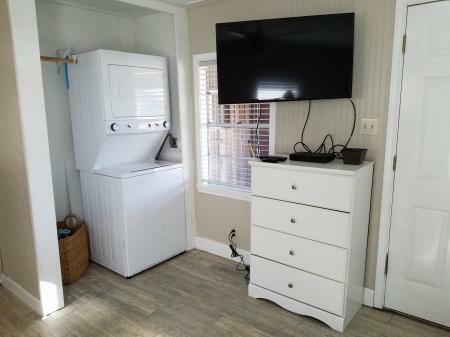 One has been repurposed to a stackable washer/dryer. 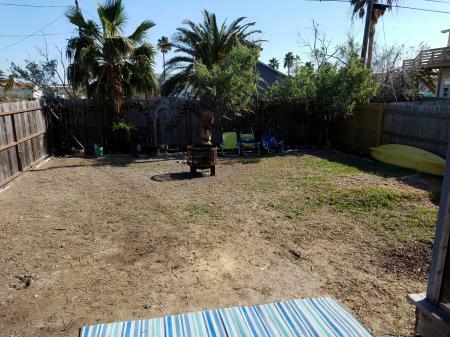 ��The backdoor leads to the porch where the washer/dryer are located.��On the back of the house is a screened porch and the spacious yard has a firepit. 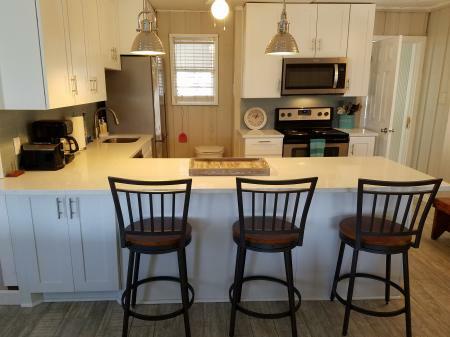 The Light House offers a taste of Port Aransas the way it "used to be" before all the development and condos flooded the town.��You will step back in time but be thoroughly comfortable in your surroundings. 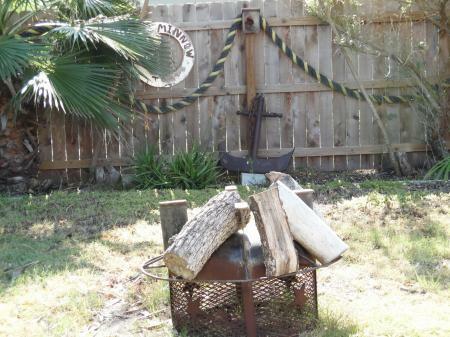 A firepit for cooking dinner, marshmallows, or to take the chill off at night.